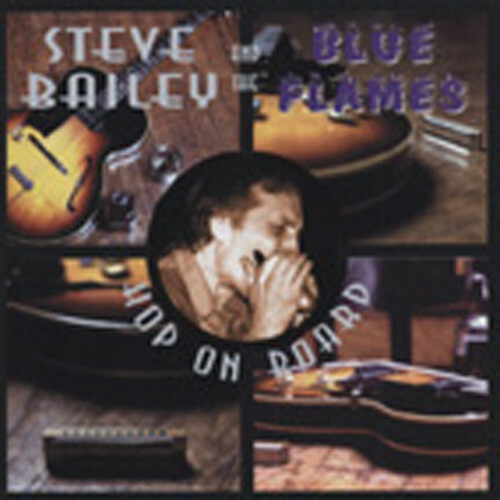 (1998 'Blues Leaf') (50:38/14) Seit Anfang der 70er Jahre zählt Bailey mit seiner Band zu den festen Komponenten der kleinen Bluesszene hoch an der Westküste im Staate Washington. Leicht rockend spielt die Band fast nur eigene Sachen; angenehme Produktion. Insgesamt ein gutes Stück / a mainstay on the blues scene in the state of Washington, Bailey's back with a new set of mostly originals. He's an accomplished harp player with a style of his own. The band is solid and slightly rocking; the production is fine. All in all a good product. Customer evaluation for "Hop On Board"